Every so often, a book utterly defies your expectations of what a novel can and should do. 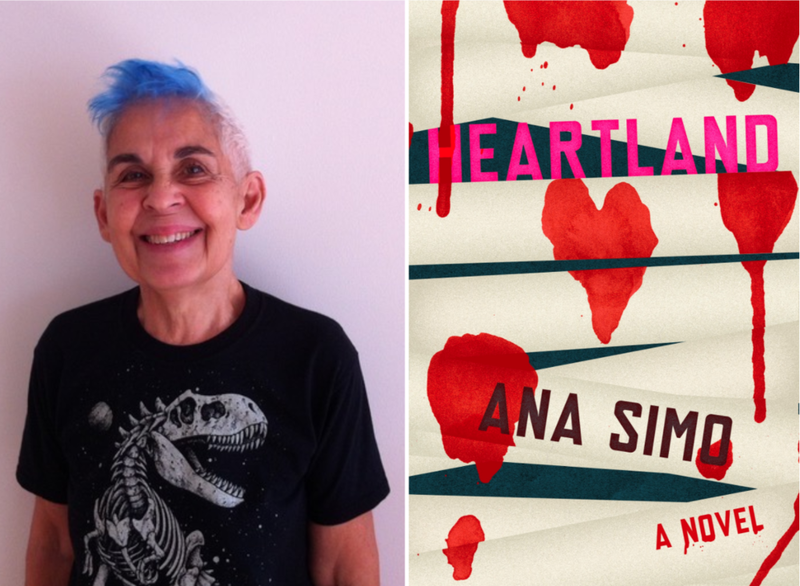 Heartland is longtime playwright and lesbian activist Ana Simo's debut novel, which was a finalist for the first Restless Books Prize for New Immigrant Writing. Don't be fooled by the seemingly safe and centered title: Heartland is a murder mystery turned inside out, mixing the styles of telenovela and pulp noir, set in a dystopian dark mirror of our society in which government corruption has led to mass starvation in the heartland and a nationwide refugee crisis. Our heroine is a luckless writer who becomes obsessed with eliminating from the face of the earth her rival in love—but her homicidal masterplan becomes more ornate than a baroque symphony. On Sunday January 28, Ana Simo will appear at KGB Bar's Sunday Night Fiction series to read from her debut novel, Heartland. On Wednesday January 24, Ana Simo will appear at McNally Jackson Books for the launch of her debut novel, Heartland. Join Latinx in Publishing and Restless Books for a rollicking evening of Literary Lotería (it’s like bingo! but better! ), plus lots of tequila, tacos, and premier premios (that’s prizes, Anglos). On Friday June 2, Ana Simo, author Heartland, will be in a discussion entitled "Resist, Rebel, Transgress" with author Susana Cook as part of the Bureau of General Services - Queer Division's The Literary Avengers: 25th Anniversary Exhibition event series.